Is Normal Wear and Tear Different Than Damage? 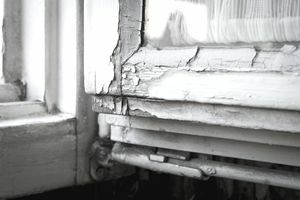 While a landlord is responsible for maintaining the rental property, there is a certain amount of deterioration that is expected to occur as the property ages, known as wear and tear. Neither the landlord nor the tenant is responsible for this normal deterioration. Damage done to the property is a different story, and the person responsible for causing the damage will also be financially responsible for fixing it. Damage is not naturally occurring. It is harm done that affects the value, usefulness or normal function of property. This damage can be committed on purpose, or through neglect. The main difference between normal wear and tear and damage is that damage is unexpected based on the use or function of the property. Normal wear and tear is expected. It is normal and expected for there to be some scuffs in the paint after a tenant moves out of a unit. It is not normal and expected for there to be a two foot hole in the bedroom wall after the tenant moves out of the unit. The scuffs in the paint would be considered normal wear and tear. The hole in the wall would be considered damage. A landlord and tenant do not always agree on the amount of the security deposit that should be returned to the tenant when the tenant's lease is over. A landlord may believe an issue at the property is considered damage, while the tenant may see it as normal wear and tear. The landlord can point out any issues he or she has with the current condition of the property. The landlord can explain why he or she will be taking deductions from the tenant's security deposit to cover these damages. The tenant can agree with or dispute the landlord's findings.